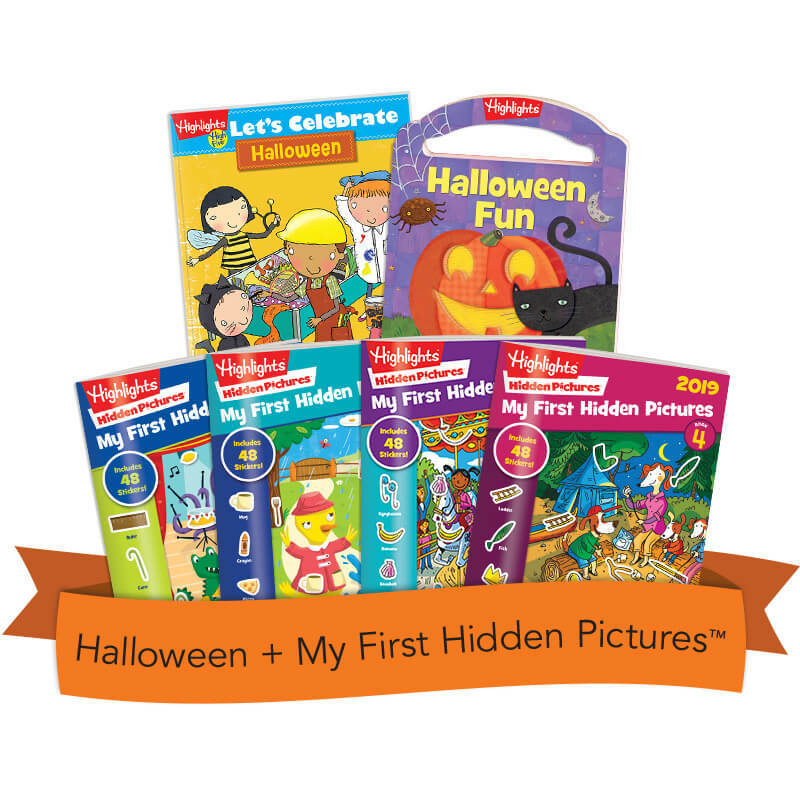 Help little ones discover the excitement of Halloween with this book set just for them. The Let’s Celebrate book features super simple but super fun costume ideas, plus games, activities and more that would make perfect annual traditions. The Carry-and-Play book has even more Halloween crafts, recipes and other creative ideas for kids. Round out the fun with our best-selling 2019 My First Hidden Pictures™ 4-Book Set! Get 48 stickers in each book, plus other age-appropriate fun, like matching games, dot-to-dots and drawing prompts.